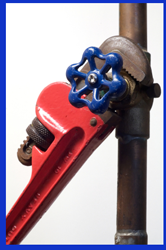 Home plumbing repairs by the Gilbert AZ Handyman. If you are reading this, you probably are experiencing a plumbing problem and are looking for the most efficient and affordable solution. The good news is that you don’t have to pay one of those plumbing companies to send their expensive employees in one of their big, fancy and expensive trucks to fix a small leak or to replace garbage disposal. I can handle just about any home plumbing repair problem. Call the Gilbert AZ, Handyman at (480) 232-7689 and I will come to your plumbing repair rescue. Gilbert Handyman Plumbing Repair Services Include . . . Some of my other Gilbert Handyman Services include . . . I provide expert handyman service in the these cities . . .